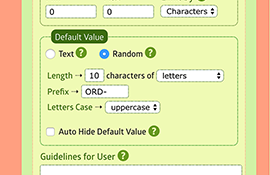 Over 20 field types are available, from simple text to a complex matrix. 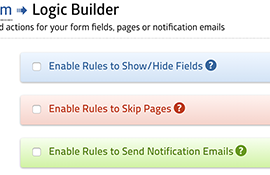 Build smarter forms. 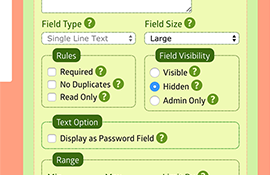 Dynamically show/hide fields based on user selection. Complete validation for each field. You’ll get clean and correct data. 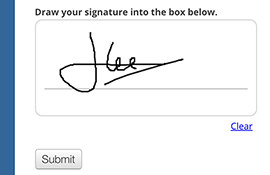 Accept online electronic signature. Works on computer and touch devices. 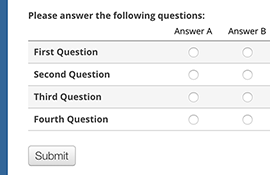 Create a powerful survey form and quickly collect rating points. 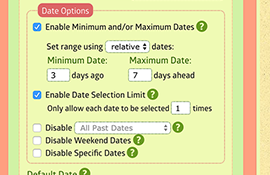 Enable the date range, limit selection, disable specific dates, and more. 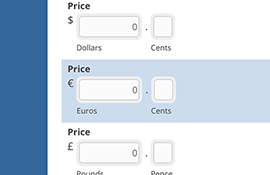 Assign prices to checkboxes, drop-down, multiple choice, and price fields. 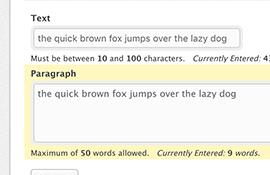 Limit the amount of characters or words for text, paragraphs, and number fields. 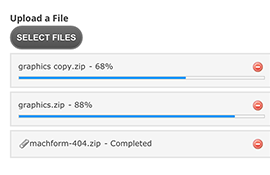 Accept multiple file uploads and display progress bars. Collect data securely and save it using strong data encryption. 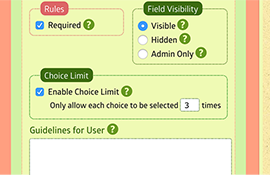 Display fields with values that can't be changed by users. 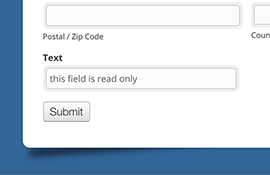 Include non-visible fields into your form with pre-defined values. 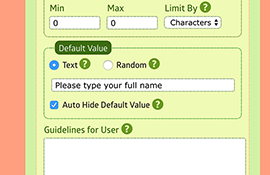 Automatically hides default value as soon as the user types in the field. 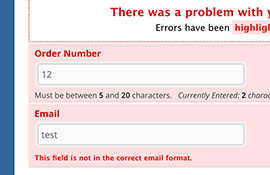 Pre-populate field with random letters, numbers, or both, at any length you need. 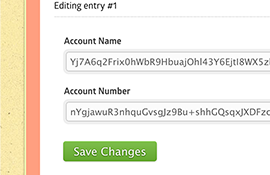 Limit the number of entries per choice option. 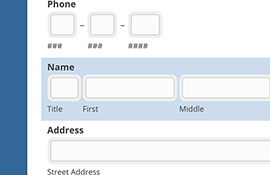 Useful for reservation or booking forms.